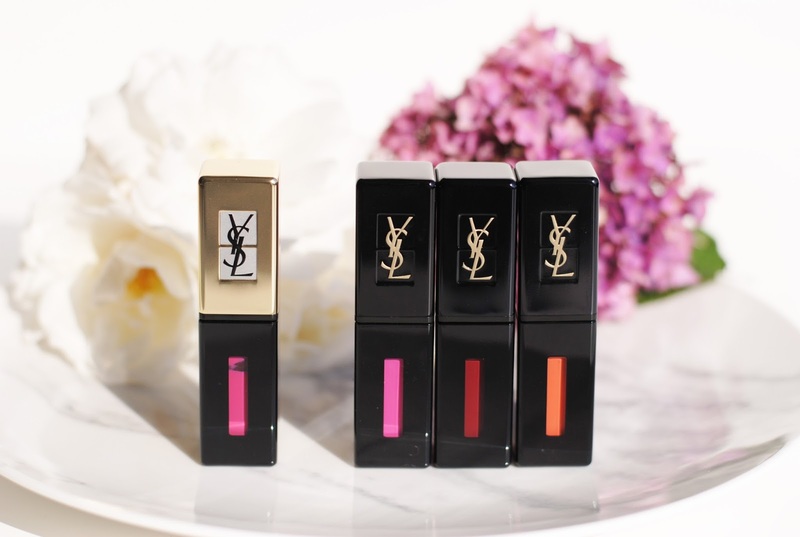 Remember the YSL glossy stain? I loved that. 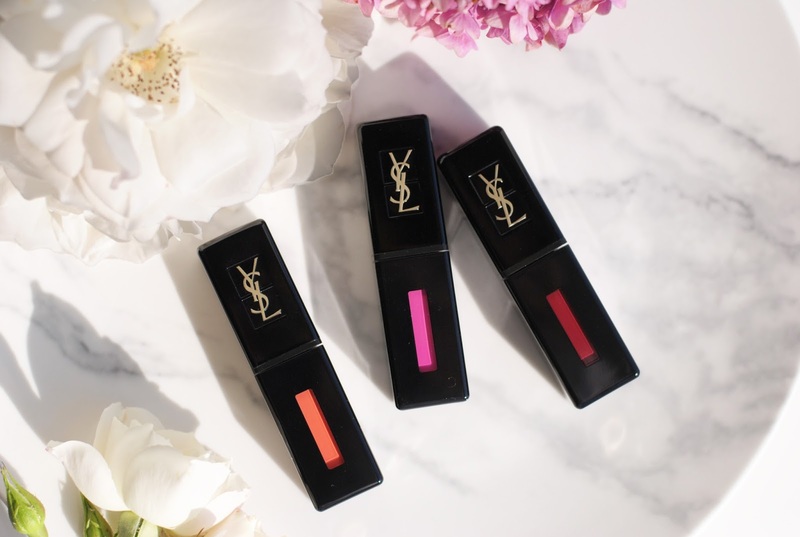 YSL recently launched something new, a creamy stain - a combination of a stain, a lipstick and gloss. Shiny as a vinyl record. 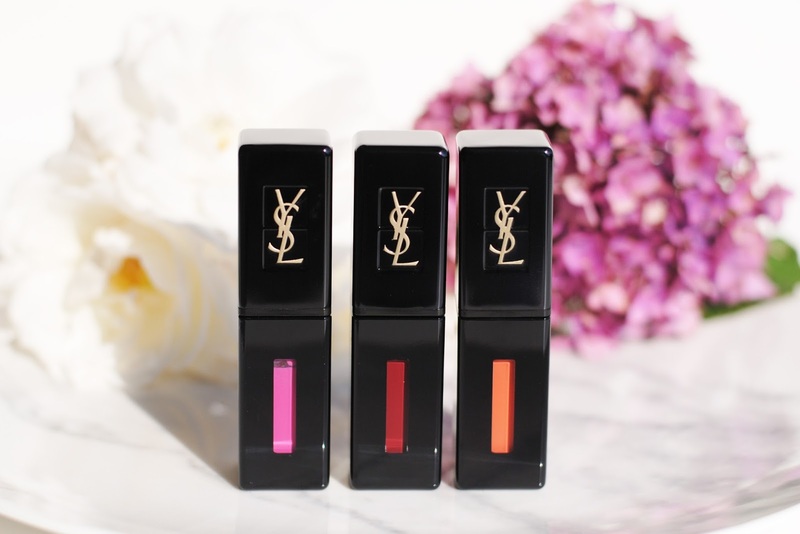 The packaging looks similar to the pop water glossy stain. (Because of the similarities I swatched them together below.) The applicator is a soft and flat cushion, which works precisely and takes up a good amount of product. The formula still has that scent that I loved - a berry, wine, candy, cocktail, grape something something kinda scent. I can't put my finger on it, but it smells good. 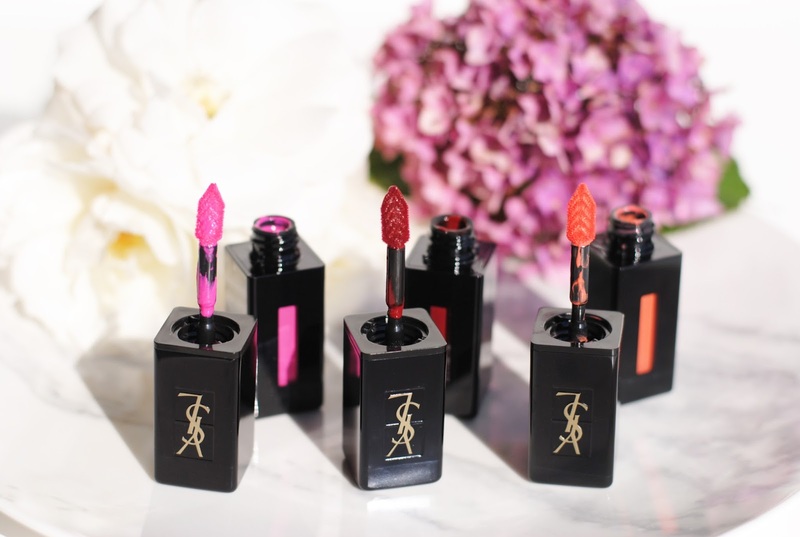 The formula contains hydrating ingredients and pigments that give the shine and durable color. 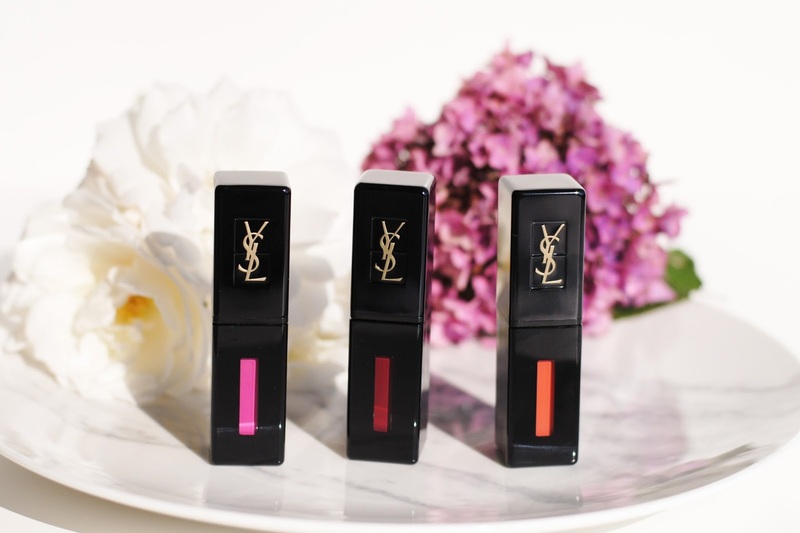 The cream feels fresh and moisturizing on the lips. It's perfect to wear on a daily base as it isn't drying (even moisturizing) and feels to comfortable. 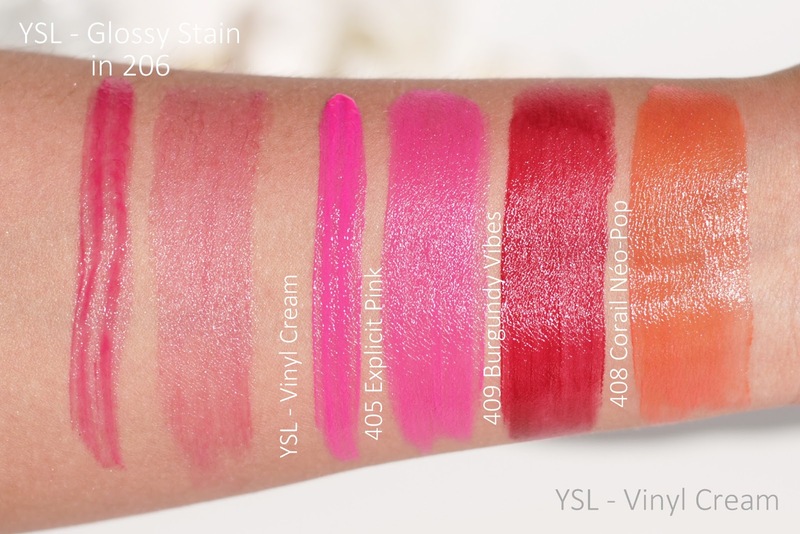 I swatched the pop water glossy stain next to the vinyl creams and you can immediately see what the differences are. 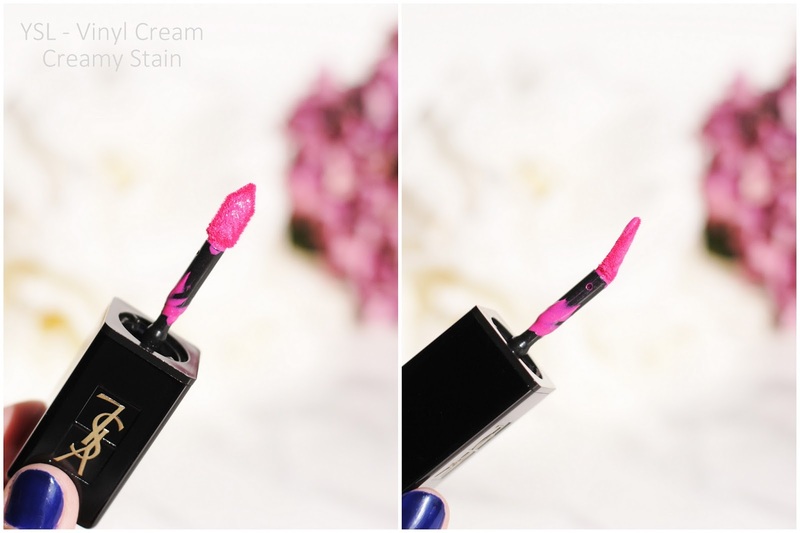 The glossy stain is much more sheer and really is a stain + gloss. 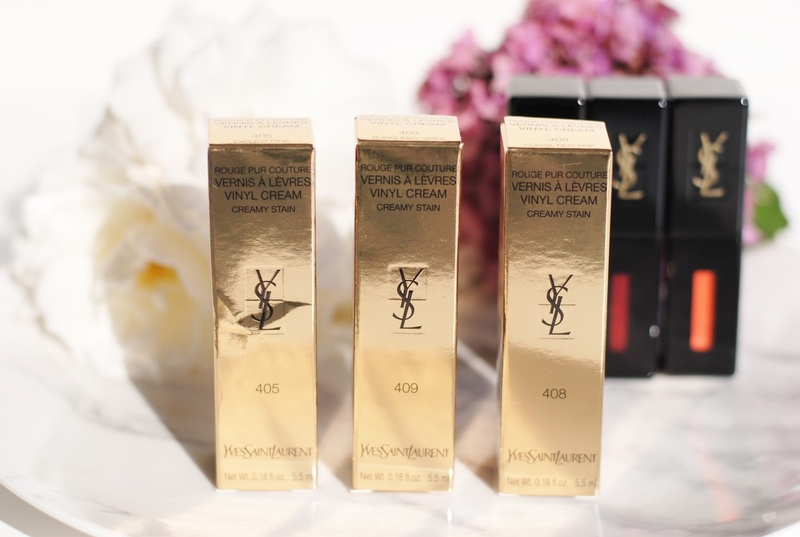 Whereas the vinyl cream is exactly what it is advertised: gloss + stain + lipstick. The vinyl creams are opaque covering, they have a beautiful gloss which stays on longer than I would have thought. It stays on several hours, and when the gloss wears off, the stain lasts throughout the whole day. Explicit Pink is a popping magenta shade. 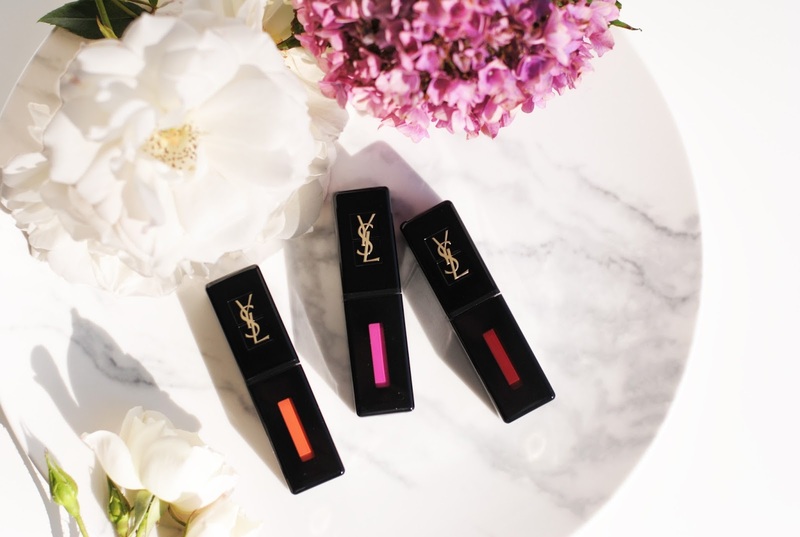 Corail Néo-Pop is described as a coral red, but it's definitely more of a true coral shade. Coral-orangy. Burgundy Vibes is (you guessed it) my favorite shade. It's an intense red with a burgundy tone. So pretty! It's been some time that I really liked a lipstick launch. 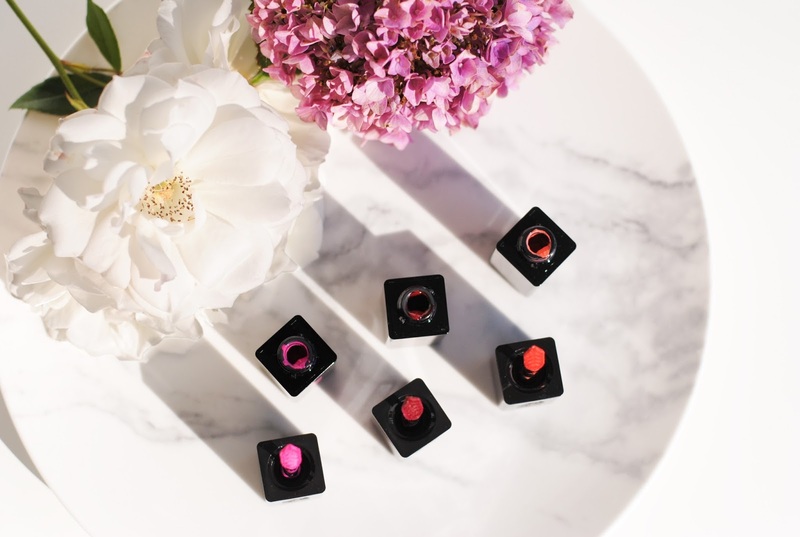 Lipstick was my absolute favorite product, but for some reason it got less exciting for me. This launch grabbed my attention, a new product, something new to wear. It feels comfortable yet lasts a whole day. Loving them! Pleasantly surprised by that coral orange! Ik houd wel van de intensiteit van deze versie. Supermooi! Gorgeous colors!!! Love the glossy look!! 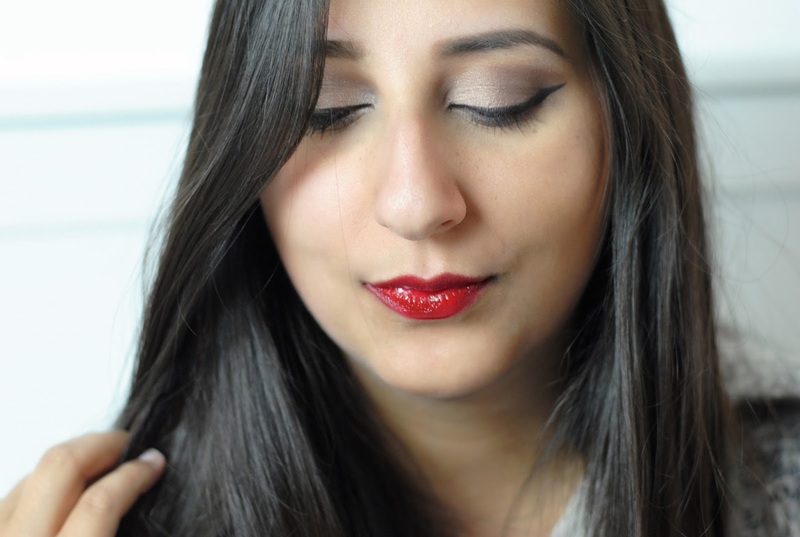 I have the red shade as well and I totally fell in love with it! Beautiful pictures! and what a beautiful colors, the red also looks good on you! Oooh woow I really love the red shade!